19 Polmear is within easy reach of many of Cornwall's finest attractions: Eden Project, Heligan, 3 National Trust properties, many sandy beaches, Fowey and Charles Town. This lovely cozy cottage with beams is the perfect location for a couples or family holiday. The beach is 5 minutes walk away. We are a dog friendly cottage with one dog allowed to stay at any time. The cottage has a small secure garden. This 3 bedroom cottage is lovely mixture of old style character and modern comfort. The house has excellent internet access. I live in a lovely old cottage in Surrey and 19 Polmear is a labour of love for me. I have worked hard to make it cozy and comfortable and I really hope that you love your stay here. I visit from time to time with my family and my Dog, who loves running on and exploring the beach. I adore Cornwall and this is my favourite part. I love the sea and wanted somewhere near the beach. We like visiting Heligan. It is only a 4.5 hour drive from Surrey if you leave early, so I find it convenient. The local pub is great and I love the people here. I love being so close to the beach and that is the best thing for me. I really appreciate having a couple of dedicated parking spaces. Another thing I value is the kitchen and dining room. I do a lot of cooking when I am here. As soon as I arrive at the cottage I relax and all is good in the world! The kitchen has a fan oven, hob, fridge and dishwasher. There is an additional fridge and a small freezer the outhouse for larger groups. The kitchen is very well equipped with cooking. Outside: The cottage has a small courtyard garden with seating. Cleaning / Towels / Linen / Maid service: The property is equipped with duvets and pillows for all beds, including the sofa bed. Linen and towels can be booked and paid for as a choice. Guests wishing to bring their own linen may do so. The extra charge for towels and linen is £50 per week. 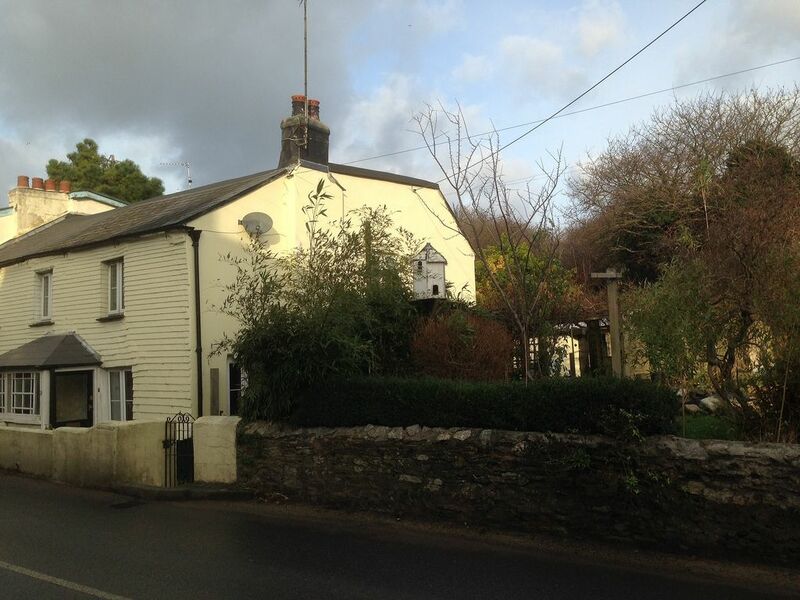 Very warm and cosy and well equipped cottage. In perfect location for visiting Cornish coast. Unfortunately as soon as we opened the door we could smell a strong smell of damp, especially in the living room. Even after several days with the windows and back door being opened & purchasing air fresheners this didn’t seems to help. Also felt the property could do with a deep clean. We stuck the week out until the Fri but was considering looking for something else on the Sunday after we arrived due to the smell & cleanliness. Sorry. I am so sorry to hear that you didn’t enjoy the cottage. This the first negative review I have ever received. I am going there myself at the end of this week and will thoroughly investigate this matter. It is true that you can smell a bit of damp if it has been shut up, because the cottage is so old, but it has been opened and used all summer. I will contact my cleaner & the person who stayed before you to investigate this further & identify the problem. We had a lovely week and felt like it was home from home. The cottage was quaint, extremely well equipped and very comfortable. Everything you need to make your holiday enjoyable from start to finish. Even the lovely gifts were a very pleasant surprise and gratefully received after a long journey. We will definitely love to come again. Spaceous old cottage with all necessary conveniences. Three bedrooms and nice bathroom. Not new, but very functional. Small kitchen, but with everything we needed. A bit of noise from the road, but nothing serious. Washing machine and dryer in outhouse very practical. The dogs enjoyed the small enclosed outside area. Par is great for walks along the coast and beach. Local bakery/cafe is very good and is a 5 minute walk away together with food shops. We enjoyed our stay very much and would recommend the place. We spent a superb Easter weekend here. Our family of 5 and a small dog were comfortable and cosy. Perfect distance for a safe walk to the beach. We would love to return. Cosy cottage that was warm and comfortable for the price paid. Will revisit in the future. In Par, near beach and on the road to Fowey. The nearest beach is 5 minutes walk away and is sandy and clean. It is dog friendly all year round, but is still suitable for children. There are numerous other sandy beaches within short drives. The nearest airport is Exeter. Par station is 1 mile away, but car users will find local attractions far more accessible. Booking Notes: To book this property call 0796 003 1075 or email juliemhagarty@gmail.com A deposit of 30% is required at booking and the remainder at least 8 weeks before your holiday. If booking less than 8 weeks before your holiday the entire amount must be paid at booking. Deposits are non-returnable. Changeover Day: in peak times changeover day is Saturday, but in off peak we can be more flexible. If you would like a different changeover day, do speak to us and we will do our best to be flexible. Notes on prices: all prices shown are exclusive of towels and linen. These can be supplied at £50pw, but visitors are welcome to use our duvets and pillow and bring their own sheets and towels if they would like to. If you need a different package please contact us.